Where board games and video games collide. This year’s GDC is already a blurry whirlwind memory of game design talks and discussion, hodgepodge game postmortems and analysis sessions, and a smear of industry faces and handshakes. GDC is a lot of things to a lot of people, and there is definitely far more happening in that week than any one person can realistically experience, but for me the main point was to soak up as much as possible in five days, mostly in regards to game postmortems, game design theory, and hearing about what’s happening on the “fringes” of game development. And with that goal in mind, it did not disappoint. 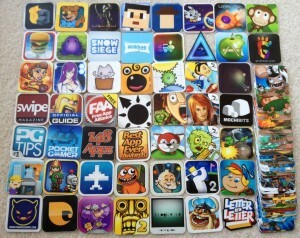 This year, at the suggestion of Eli over at TouchArcade, I had some 2″ app icon stickers printed for some of my apps, and aside from the initial premise of trading and collecting, I found the stickers to be a really excellent conversation starter and way to just launch immediately into who I am and what I do when meeting other people at GDC. 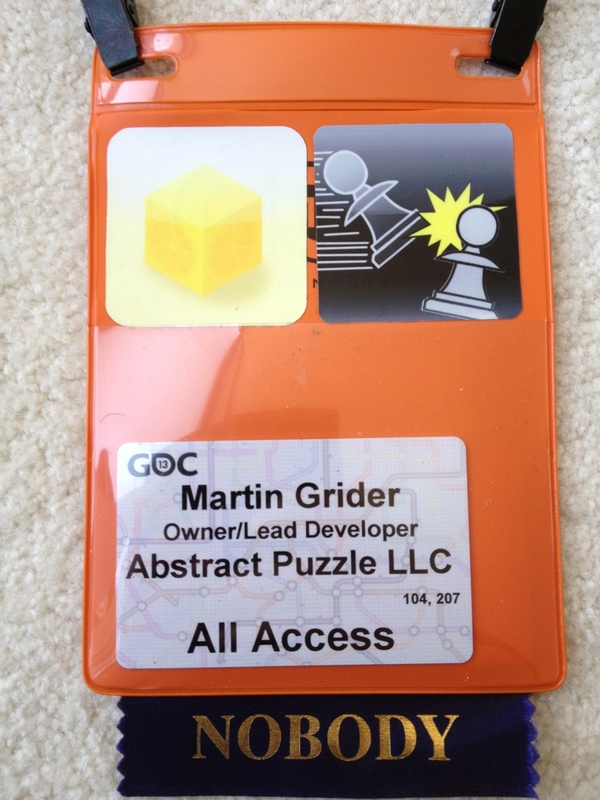 I’ll admit to being one of those people who meets you and immediately scans your badge (see the previous post for my GDC badge), looking to see if I recognize your name or your company. It’s a great way to find some common ground for discussion, but I found with the stickers in my pocket, it was far easier to start a conversation, and I rarely had to resort to the “so what do you do?” mantra. 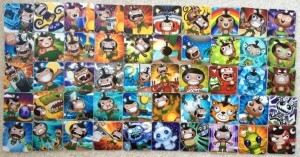 So in total, I think that makes my sticker haul exactly 100 rounded-rect stickers, including the 50 pocket god ones. 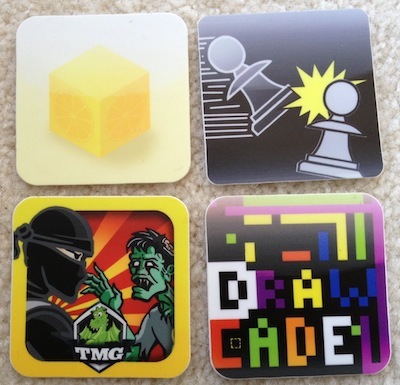 There were also a handful of differently shaped ones (only the Letter by Letter one is pictured, but I also got a cool triangular Galcon 2 sticker from Phil Hassey, and probably a dozen other ones too). Last year most of my GDC swag was t-shirts, and I got a few of those this year too, but the stickers were far more valuable, at least in terms of process of acquisition. 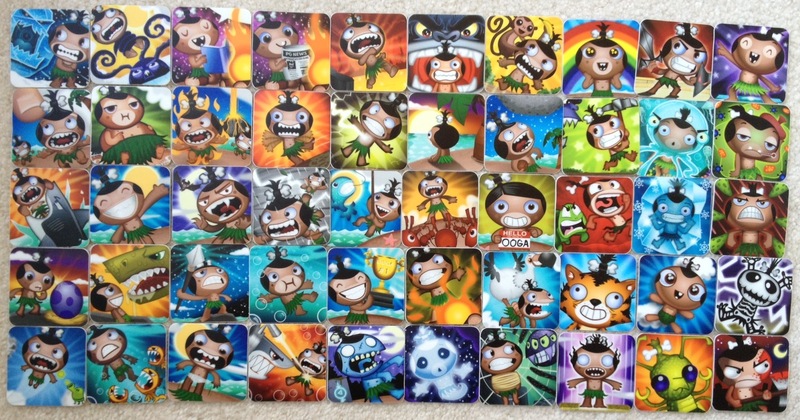 Last but not least, many thanks to Sticker Mule, who provided all these high-quality stickers at such a great discount!! !